A sea full of litter? A cursory scan through any travel website will tell you the new selling point for a beach is pristine, a word that simply means clean. Clean beaches are becoming so much of a rarity that we’re now consuming enormous amounts of fuel, enduring knee-wrecking flight rides and shelling out exorbitant amounts of money just to get to a beach where we can walk barefoot in the sand without having to step over soggy plastic bags or being stabbed by a lonely straw. December 1st is Ocean Care day, and perhaps as good a day as any other to think about how we’re affecting our oceans (and planet) and what can be done to make pristine beaches (and planet) the norm. 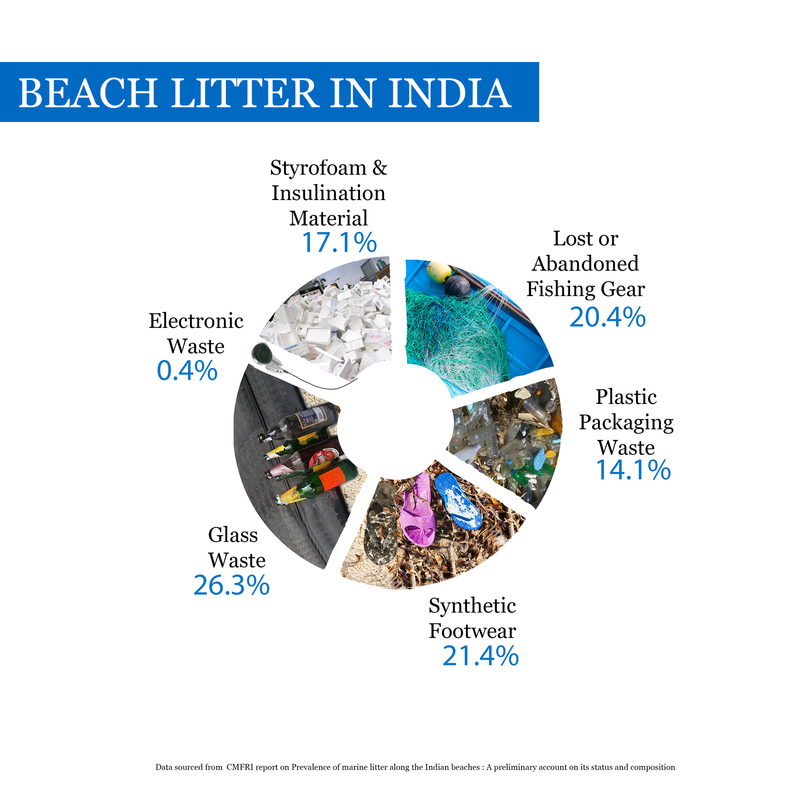 A survey conducted by the Central Marine Fisheries Research Institute (CMFRI) on the prevalence of beach litter along the Indian coastline identified 173 out of 254 beaches in India as being clean or even very clean. Unsurprisingly, The Goan Coastline registered the highest quantity of beach debris. The study also estimates that about 80% of the debris found on beaches originates onshore which points to us, land dwellers and our litterbug ways. So what can you actually do to about it? We as a society seem to have spotty waste disposal patterns. With garbage cans few and scattered, our empty packets, tetra packets and pretty much anything we’re holding seems to be thrown out of a window (cars, apartments, trains) more often than it’s thrown into a dustbin. And when it comes to a beach with the wind wreaking havoc on anything even slightly movable and the water grabbing everything within its reach, we don’t even have to make an effort to litter. But that’s where we, civilized, evolved humans capable of rational thought, need to step up. Hold on to everything you bring. And take it back. The ocean doesn’t need your flip-flops or beer bottles or earphones or any other item you may possess. Pick it up and take it back with you. If you’ve ever taken apart an electrical appliance, you probably have a sense of the innumerable intricate parts that have been put together to make it work. Each part, bear in mind, is made of a concoction of chemicals and materials that are more likely than not to contains toxic substances that in the wrong setting could cause all sorts of problems. (Think X-men but on a Jurassic Park scale.) Disposing electric appliances responsibly is your contribution to saving the planet. 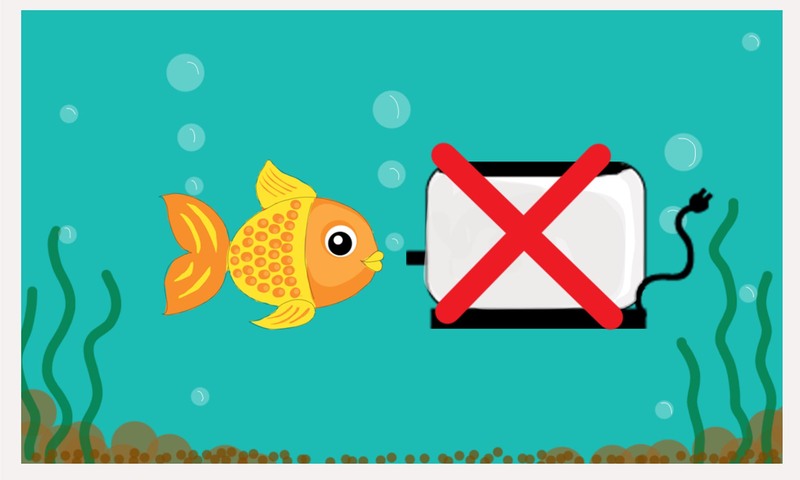 Here’s a rule of thumb: if you wouldn’t put it in your aquarium with the Goldfish you occasionally forget to feed, then don’t put it where it can end up in the ocean. It’s easy to think that you really have no control over where your old laptop or malfunction phone ends up, but that’s not true. If you sold/gave it to anyone who deals in pre-owned appliances, your device is likely to be broken up into multiple small parts and sent to be part of multiple devices. Lesser waste, more recycling. With Christmas around the corner and Diwali just behind us, we’re right in the middle of the holiday season. And with the holiday season come the sales! The Diwali Sale, the winter sale, the Black Friday Sale (what even? ), Christmas Sale, all offering you exactly what your heart wants at prices that make your wallet happy. How does you finally buying that pair of jeans after waiting all year for the price to drop affect the ocean you ask? Where do we start? There is the tons and tons of water that went into manufacturing that perfect fitting denim, that was then poured into the ocean, chemicals and all. There is also all the leftover waste material that was dumped into the ocean. There will also be years and years of micro fibers and nanoplastics that will find its way to ocean every time you wash your jeans (Yep. That happens). We’re not saying don’t buy clothes or anything else for that matter. We’re saying buy responsibly. Do you really need all that stuff? Can some of it be borrowed and not bought? (You have friends for a reason.) Is there a more environmentally friendly option? Question your choices.